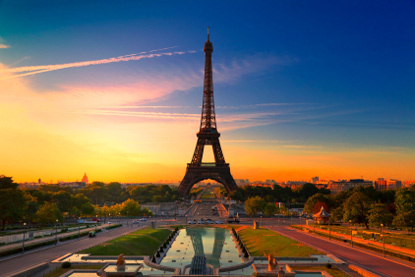 Île-de-France (literally 'Isle of France') is the name given to the Greater Paris region. With 11.7 million inhabitants, it makes up 18.3% of the country's population. It is the wealthiest and most densely populated (974 inhab./km²) of France's 27 regions. The Île-de-France is actually the world's fourth-largest and Europe's wealthiest and largest regional economy, ahead of London. If it were a country, it would rank as the 15th wealthiest in the world. The economy of Île-de-France represents 30% of country's GDP, while its GDP per capita is twice the national French average. The Île-de-France has the world's second highest number of Fortune Global 500 companies' headquarters (after the Kanto region). The administrative region was created as the district de la région de Paris in 1961, and renamed in 1976 after the historic province of Île-de-France. Its boundaries correspond roughly to the northern part of the royal domain in the 12th century. The origin of the name Île is uncertain, but it is thought to refer to the rivers (Oise, Marne, Seine, Eure) that delineate the territory on all sides. As of 2006, about 35% of people (4 millions) living in the region were either immigrant (17%) or born to at least one immigrant parent (18%), including a quarter of African origin (Maghreb and sub-Saharan Africa). The local gastronomy includes Brie cheese (from the Seine-et-Marne department) and the orange-flavoured Grand Marnier brandy liqueur. 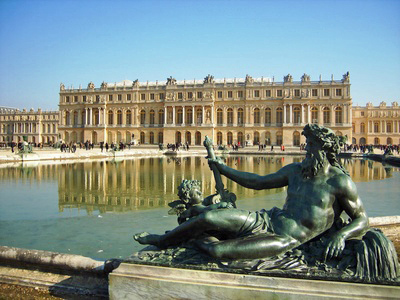 Often considered the world's greatest palace, Versailles was the life's work of Louis XIV, the Sun King. 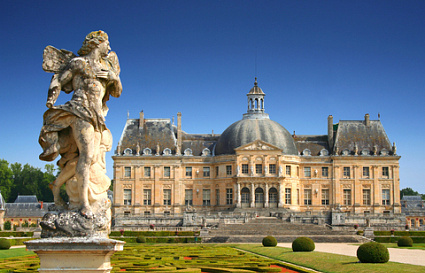 A ducal château built by Mansart in the French Baroque style. 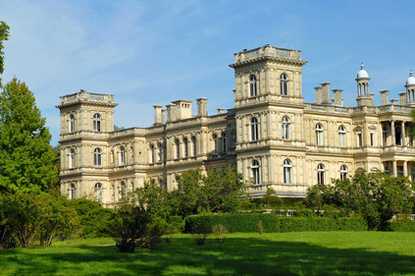 Rambouillet is the summer residence of the French president. Formerly a royal castle, it witnessed the death of Francis I, while Louis XVI and Napoleon both sojourned there. 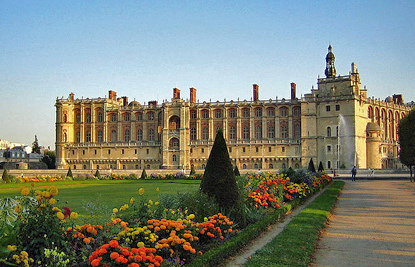 Saint-Germain-en-Laye was one of the principal residences of the Kings of France from the 12th to the mid-17th century. The present castle is mostly Renaissance reconstruction from the reign of Francis I. It now houses the Museum of National Archaeology. 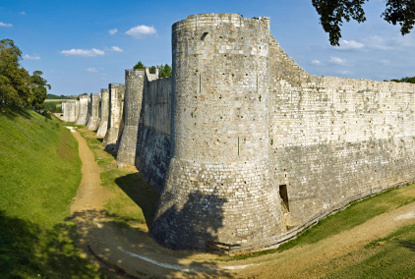 Provins is a well-preserved medieval town encircled by massive city walls. Medieval fairs are held most of the year from spring to autumn. 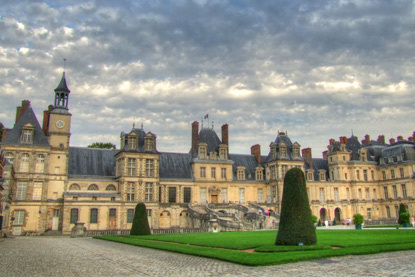 Fontainebleau is an enormous palace built, modified and expanded by French monarchs from the Middle Ages until the 19th century. 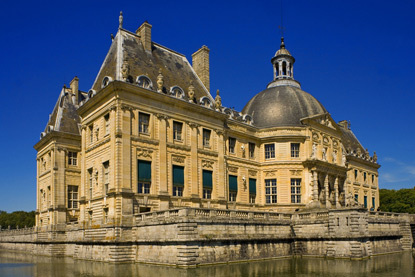 It was the favourite residence of Francis I and Napoléon I and the birthplace of Louis XIII. 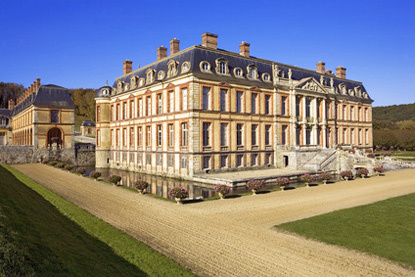 This lavish baroque château was built for Nicolas Fouquet, superintendent of finances of Louis XIV. Designed to impress the king, it exceeded its purpose. 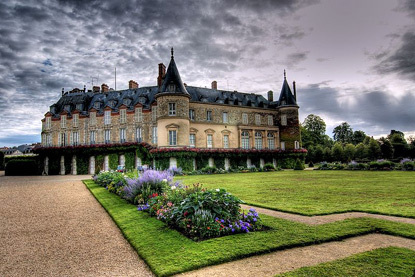 Fouquet was arrested on charges of misappropriation of public funds and the castle was seized by the envious king. Ferrières was built by Baron James de Rothschild and designed in English Jacobean style by Joseph Paxton, the architect of the Crystal Palace in London and Mentmore Towers in Buckinghamshire.